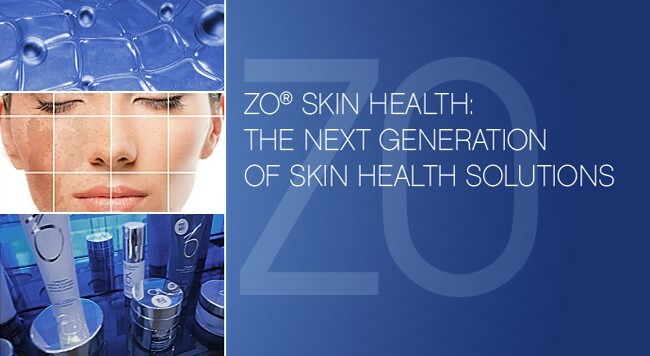 Zo Skin Health – innovative skincare that delivers optimal skin results with the new concept of the ZO Skin Health Circle – prevention, therapeutic treatments and maintenance. ZO (pronounced Z-O) Skin Health utilizes Dr Zein Obagi’s extensive clinical experience and cutting edge science in our newest addition to Abrams Dermatology’s professional product line. ZO Medical and ZO Skin Health will provide skin care systems to treat a wide range of skin disorders and conditions as well as providing daily solutions for maintaining desired results. Abrams Dermatology will also offer ZO therapeutic in-office treatments that will accelerate skin health and beauty. Dr. Zein Obagi pioneered the original concept of skin health with the development of the Obagi Nu-Derm System that included medical skincare products. These products were appropriate for the time but only focused on the treatment of diseased skin – hyper pigmentation. The majority of patients had no medical skin conditions and did not need prescription products. Over the years, Dr. Obagi listened to feedback from physicians worldwide and realized the original Obagi system needed adjusting. His goal was to not only treat specific skin conditions, but to focus on creating and maintaining healthy skin. Most dermatological treatments and products address the skin’s surface and symptoms without improving cellular function. ZO Skin Health systems incorporate medical and non medical products into the skin care routine. ZO skin products will help to normalize skin barrier function, protect and repair DNA, eliminate chronic skin inflammation and help adopt an effective, daily preventative program. Schedule a complimentary consult with Catherine Fulton, LME, to discuss your own personalized skin care plan of action. If you are currently using Obagi medical products the transition is simple into ZO Skin Health products. If you are new to skin care, a consultation will provide education in the benefits of professional and prescription skin care products.